SIXTEEN LAKE HERMAN ROAD NEWSPAPER ARTICLES IN TEXT FORM, WORD FOR WORD. 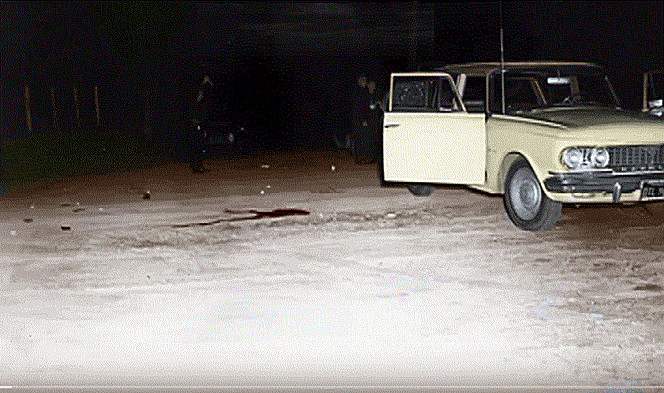 The Lake Herman Road murders were the first confirmed attacks by the infamous Zodiac Killer. Although unknown at the time, it was just the beginning of a campaign of terror that would last at least five years and herald a new dawn of serial killer. 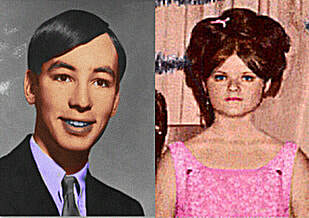 David Faraday (17) and Betty Lou Jensen (16) were two young high school students out on their first date, when fate would intervene. The couple had attended a pre-Christmas concert at Vallejo's Hogan High School on December 20th 1968, from where they intended to visit a local restaurant called Mr Ed's. Whether they traveled to and dined at the restaurant we are unsure, but during the late evening hours they decided to pull off the unlit, two-lane Lake Herman Road, somewhere near the jurisdictional line of Benicia and Vallejo, known to be frequented by many courting couples seeking a bit of privacy - and it was here on a gravel turnout that the killer struck. Back in 1968 the turnout had a double-gated entrance, locked at its center point and provided access to the Benicia Water Pumping Station. View of Lake Herman Road . The turnout is located approximately 3.2 miles east of Columbus Parkway, and 4 miles from the Blue Rock Springs parking lot, the location of the Zodiac Killer's second attack on July 4th 1969. ​​Earlier on that night, described in the police report as 9:00 pm and 10:00 pm, a white Chevrolet Impala was observed, parked idle, without occupants in the gravel turnout. (The police report is open to question). ​This vehicle may have been owned by an innocent motorist, however, it is perfectly feasible that the parked car may have come into play later in the night's proceedings. 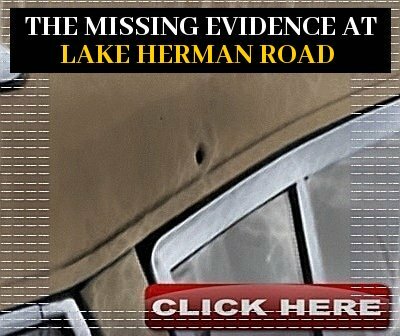 Two local hunters, Frank Gasser (69) and Robert Connelly (27) had passed the Lake Herman Road turnout at 9:00 pm heading toward the Marshall Ranch, when they noticed a white 4-door hardtop, 1959 or 1960 Chevrolet Impala parked up. At exactly the same time, they saw local sheepherder Bingo Wesner exit the turnout gate. 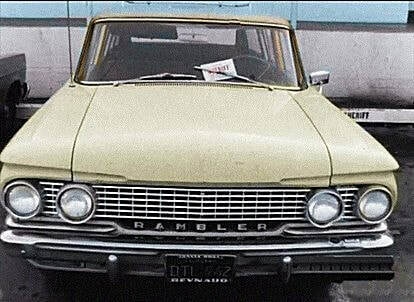 The police recalled the details they gave "a light colored 1960 Rambler station wagon was parked at the gate. It was parked southwest of where we finally found the car. This discrepancy wasn't noticed at first. They said that when they arrived there at 9.00 pm a white 4-door hardtop, a '59 or '60 Impala, was parked there, and also, a truck coming out of the gate. 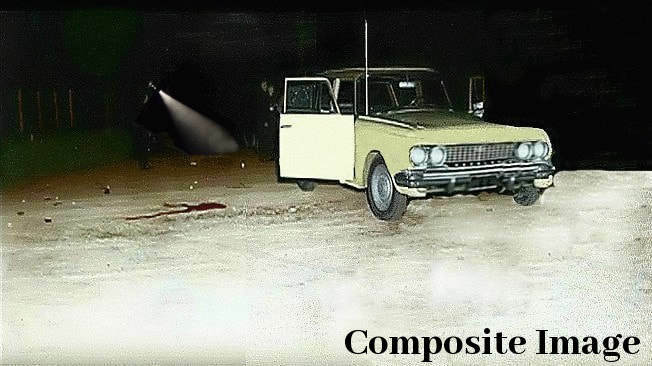 This coincides with information from Bingo Wesner that when he came out of the gate he saw the same Impala and also saw the red pick-up truck go by." 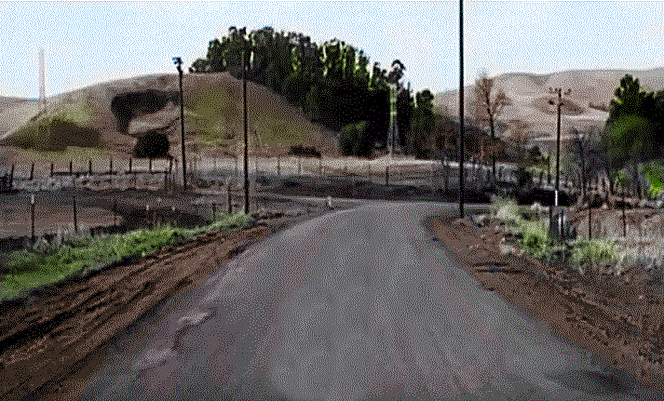 After Connelly and Gasser left the Marshall Ranch they headed back to the Gasser Ranch toward Benicia. Robert Connelly added "that the Rambler was parked on the bank. That would be on the south side. He did not see any person in the car. He estimates he left the area between 11.00 pm and 11.15 pm. He remained at the Gasser's house about an hour and then left out through Highway 21, through the Jameson Canyon and headed home, arriving about 12.30 am." Bingo Wesner also stated in the police report "he was checking his sheep at approximately 10.00 pm and he observed a white Chevrolet Impala Sedan parked by the south fence of the entrance to the pumping station. He also observed a red Ford pick-up truck with wood side boards in the area." This was the truck of Frank Gasser and Robert Connelly. At approximately 11.00 pm Peggy and Homer Your were returning from Sacramento, heading west on Lake Herman Road, because Homer Your wanted to check some pipes, as he worked for a construction company laying pipes in the area. As they passed the turnout Peggy Your would recollect the young couple in the Rambler and described this in the police report: "As they were driving west on Lake Herman Road at the turn off to the Benicia Water Pumping Station, she observed a Rambler station wagon parked with front end heading east, there were two Caucasians in the front seat, male and female, when the lights from the car came upon the station wagon, the male sat up in the seat. Mrs Your said it was a cold night and she noticed no frost on the station wagon". They proceeded toward the Marshall Ranch, approximately 30 seconds driving time beyond the turnout, where they encountered the two raccoon hunters Frank Gasser and Robert Connelly as they turned into the gated entrance of the Ranch. They noticed one of the men had a long-barreled gun, while the other had a flashlight, so decided to reverse and head east back to Benicia. When they passed the turnout for a second time, the Rambler of David Faraday and Betty Lou Jensen was still there. The time was now a few minutes after 11.00 pm. ​"I sped up. The car behind me also sped up, and at one point as I was looking over my shoulder, the car behind me came up on my side with its right front fender near the driver’s rear quarter panel and appeared to be moving toward making contact. I shifted to a lower gear and hit the gas. There is a fork in the road where one continues toward Benicia and the other more towards the freeway toward Vallejo. The other car was clearly chasing me and I waited until the last moment and then turned off. 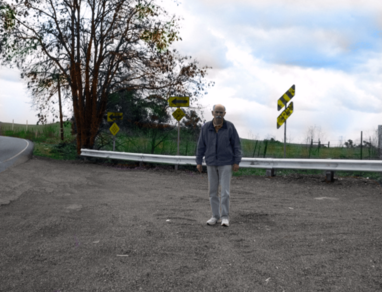 The larger car behind me could not make the turn. I went down approximately two hundred yards and stopped in the middle of the road. The other car had stopped shortly after the turn-off. Each of us sat there in the road. Again, youthfully stupid, I yelled about kicking his ---. After some moments, the other car turned around in the roadway and went back down the road from which we had come. I kept making macho statements, but not totally without some sense about me, I drove home. I did not see the car again. I could not see the passenger seat, but the driver was a man with short hair and glasses. I did not see his specific facial features". William Crow was originally quoted in the police report that the vehicle that followed him was possibly a blue Valiant, with two male Caucasians - but this description would also change. "I never told the sheriff who interviewed me that the car I encountered was a Valiant. As I recall, as I was attempting to describe the car, the sheriff came up with a “Valiant”. In the years that have passed, when I have shared the events of that night, I have described the car as a four-door light-colored Chevy". He also stated that "just before he approached the scene, a vehicle passed him going in the opposite direction toward Vallejo. He could give no description of the vehicle. This occurred near the Borges Ranch". The Borges Ranch was situated 1.5 miles past the turnout, not 2.7 miles as described in the police report. See here. The occupant(s) of this vehicle have never come forward despite the extensive news coverage. James Owen also gave an interview in 2012 to Mike Morford on Zodiac Killer Site Forum before his death. Click here for more details. 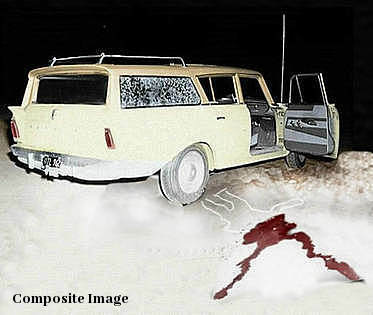 ​Approximated between 11.05 pm and 11.10 pm, David Faraday and Betty Lou Jensen were parked up in the Lake Herman Road turnout, when it is believed the Zodiac killer pulled up beside their Rambler and ordered them both out of the car with a .22 handgun, firing off at least two warning shots that struck the Rambler. 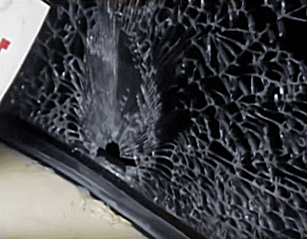 One bullet shattered the right rear window and lodged in the left rear wheel well, while the second bullet struck the headliner of the vehicle. Betty Lou is thought to have exited the passenger side of the Rambler, followed by David Faraday. What followed after this is subjective, but what we do know is that David Faraday was shot through the lower portion of his left ear causing a fatal brain injury and fell perpendicular to the right rear wheel of the vehicle. Betty Lou Jensen, apparently fearing the worst, either made a desperate attempt to flee or was ordered to run by her killer. 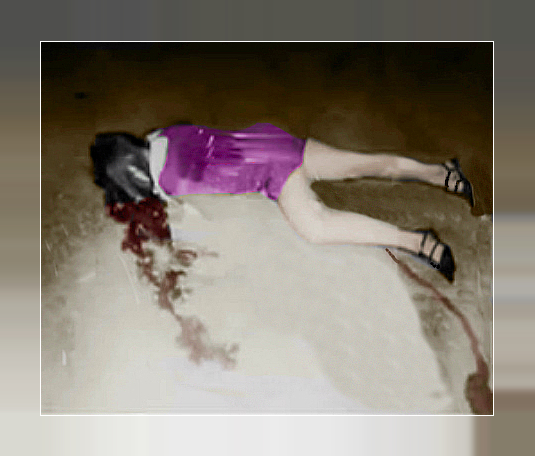 Whatever the case, she was gunned down by five bullets to the right side of her back, eventually collapsing to the turnout floor 33 feet from the right rear of the Rambler, before falling backwards [crime scene photograph- caution]. Her head was facing the rear bumper of the Rambler 28 feet away, with her feet facing in a westerly direction. Here is a depiction of the likely order of bullets fired that night in the turnout. IMAGE. Minutes after the murders, at approximately 11.20 pm, both victims were discovered lying on the gravel turnout by passing motorist Stella Borges (Medeiros). She had left her ranch, situated 1.5 miles west of the Lake Herman Road turnout, only minutes earlier. She then raced off toward Benicia at high speed to alert the police. She eventually ran into Captain Daniel Pitta, who would recall arriving at the Lake Herman Road crime scene circa 11.28 pm. Stella Medeiros detailed her recollections on page 19/20 of the police report "She states that no cars were going in either direction while she was on the road. When she arrived at the scene, headlights picked up the car and she observed a boy and he had looked like he had fallen out of the open door. The girl was lying on her side facing the road. She had a purple dress on and looked well dressed. She saw only one car at the scene. It looked like a Rambler, grayish in color, it had a chrome rack on the top. She states she drove sixty or seventy miles an hour enroute to Benicia to report the incident. When she saw the police car she honked her horn and blinked her lights to attract the attention of the police officers." David Faraday was found lying virtually ninety degrees, facing south-westerly, to the rear right passenger side wheel, with a gunshot wound to the left side of his head. He was still breathing at the time, but sadly Betty Lou Jensen had suffered catastrophic injuries and detectives were unable to find any signs of life. [autopsy findings]. David Faraday was rushed from the scene, but he too was unfortunately was pronounced dead on arrival at the nearby Vallejo Hospital at 12.05 am by Dr Siebert. One of the responding officers to the Lake Herman Road crime scene that night detailed the night's events. Ten expended bullet casings were found strewn at the scene, one of which was found on the front passenger side floorboard of the Rambler. 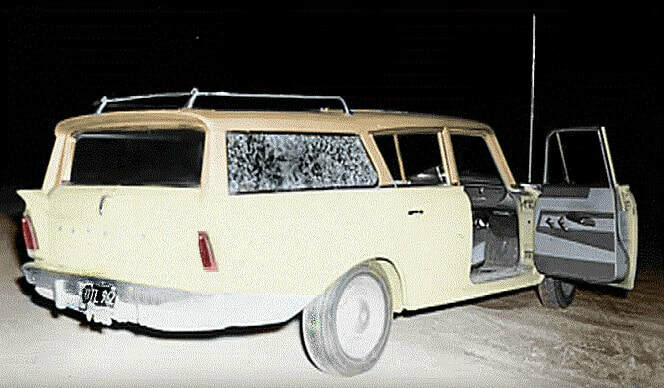 By the nature of bullet tracts found in the vehicle, it was considered the killer may have fired warning shots into the Rambler to force the couple from the station wagon. However, no fresh tire tracks or footprints were found in the turnout by police, on account of the extremely cold temperature in Benicia on December 20th 1968 - falling to a low of 22 degrees Fahrenheit or -5 degrees Celsius. 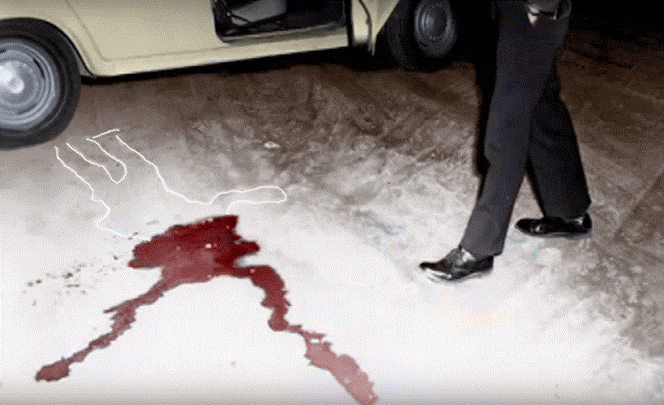 Despite the aftermath of a rigorous investigation spearheaded by Detective Sergeant Leslie Lundblad, stationed in Solano County, the horrific murders went unsolved and remain so to this day. 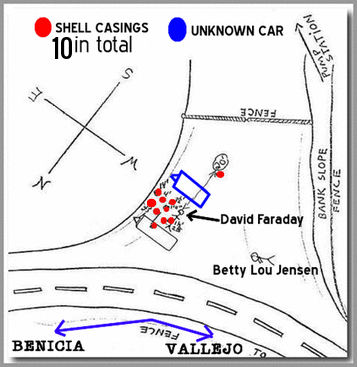 Various motives for the murders were considered, including jealousy - with Les Lunblad checking reports that David Faraday had clashed with another youth over Betty Lou Jensen on the Wednesday before the murders. But nothing panned out. "Possibly they were ordered out of the car by the responsible, the boy was shot right at the side of the car and the girl apparently tried to run and she was shot 28 feet further on." Les Lunblad. David Faraday was a popular high school student, Eagle Scout and a member of the Vallejo High school wrestling team, leading some to conclude that David Faraday may have fought back against his attacker as he 'had been shot in the upper portion of the left ear by a small caliber bullet which penetrated the ear and head. There appeared to be powder burns on the left ear where the bullet had entered. There was a large lump on his right cheek and the hair on his left side was matted with blood.' He also 'held a class ring by the tips of his ring and middle fingers of his left hand'. Investigators, in the months to come, were hitting dead ends and blind alleys, desperate for fresh new leads. But nobody at this point in the investigation could ever have imagined what was soon to transpire, Just shy of seven months later, at 12.40 am, on the morning of July 5th 1969, police dispatcher Nancy Slover was to receive the phone call that would change everything. 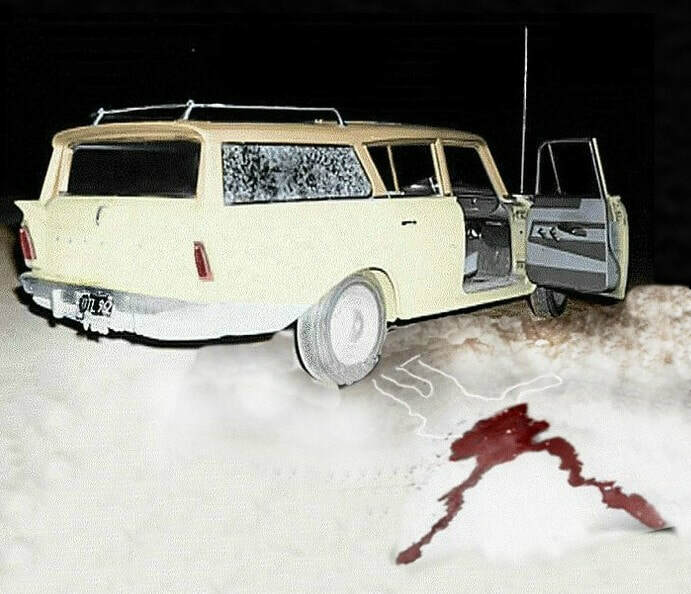 This marked the start of a bloody campaign by the Zodiac Killer, who would eventually commit further attacks on five people after the Lake Herman Road murders - although many believe he has committed far more - with the Zodiac Killer himself claiming responsibility for the deaths of at least 37 people. But whether this is nearer to the truth, or just the inflated ego of an insane or calculated killer, remains in question to this very day. The police sketches of the scene are varied, in that when you overlay them, the Rambler changes position in relation to the environment. In other words they are not totally accurate, but the depiction on the left combines all the relevant details. There were 10 shell casings retrieved (marked in red) and 8 bullets recovered. 5 that struck Betty Lou Jensen, 2 from the Rambler and 1 from David Faraday. Two bullets were never located. 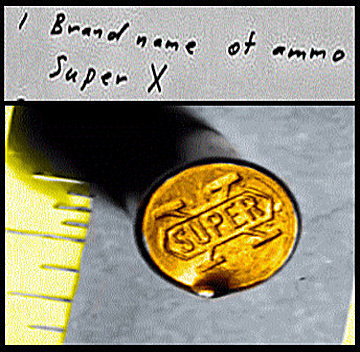 It can be noticed that all but one of the shell casings were found in a cluster, suggesting the killer was standing between the cars when he shot both victims. If he had shot David Faraday first, he would literally have had to shoot Betty Lou Jensen from this location, over the top of David Faraday's body. 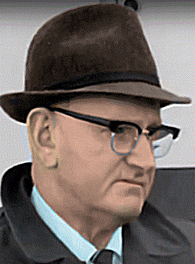 Robert Graysmith stated that the Zodiac Killer followed Betty Lou Jensen, shooting as he chased her across the gravel turnout. 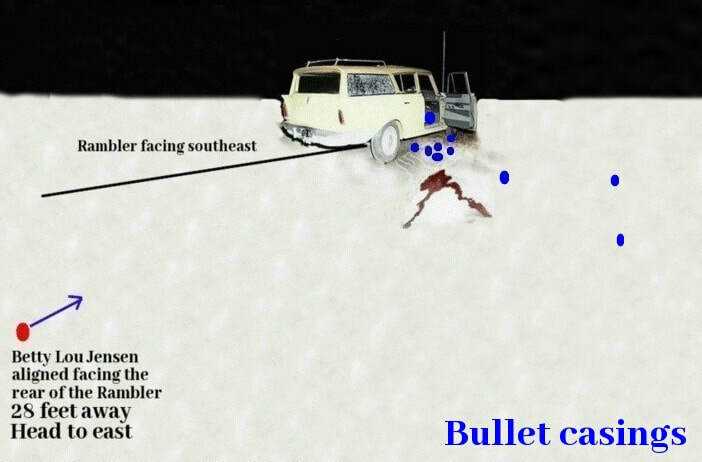 This is highly improbable, as ejected shell casings would have been found along the path between the rear of the Rambler and where she eventually fell and as you can see from the diagram, there are none. First statement to police on 12/21/68, The hunters claim they hunted until 11:00pm or so, and they noted the time as Connelly had looked at his watch. Time was approximate, and could have been 10:50 or 10:55pm. They stated that it took them about 3-5 minutes to walk to their truck. In his 2nd statement to police, Connelly stated it may have taken up to 10 minutes to walk back to the truck. Connelly stated that they arrived at the truck, and were there about 5 minutes when a car came in and turned around. This car belonged to the Yours.After the Yours turned around, the hunters sat there about another 5 minutes, and then drove off. Connelly estimated that they left the area between 11:05 & 11:15pm. Between Owen, and Borges, their accounts would lead the police to believe there was a tight 6 minute window for zodiac to strike. Borges states that she looked at the clock in her house, and it was 11:10pm. She then left the house driving ‘casually’ over the 2.7 miles until she reached the crime scene. She estimates that she arrived at the scene, 4-5 minutes later, which would be about 11:14-11:15pm. Keep in mind, Owen is placed there at 11:14pm up to this point. Now for something crucial- police checked her clock, and found it to be one minute fast, meaning that she likely would really be there at 11:13-11:14. Well, obviously, this is a huge glaring problem, Owen there at 11:14 seeing two cars and no people or bodies, and Borges being there at 11:13-11:14 and seeing one car and two bodies. Obviously, both of the established times for Owen and Borges can’t be correct. What happened? Borges drove off immediately at speeds of 60-70mph towards Benicia to get help, where she eventually ran into Benicia Police Officer Pitta. From Pitta’s report, he notes that Borges flagged him down at aprox 11:25pm. Pitta then raced to the scene arriving there at about 11:28pm. This is apparently how they established that Borges took 5 minutes to find and make contact with Pitta. They now think that Borges was actually at the scene at 11:20, hence the 6 minute window for zodiac to strike. The police report mentions “the distance was 3.4 miles” from where she found the cops, and the murder scene, and “possibly took her 5 minutes to drive”. The latest time Connelly the hunter thinks they left would be 11:12. Owen was there at 11:14. Borges found the bodies at about 11:20. If Connelly’s and Owen’s times are correct, then Zodiac only had 2 minutes to arrive by some miracle in between 11:12 & 11:14 pm. That would be pretty miraculous. Also, it’s quite amazing that the crime wasn’t taking place when Owen or Borges arrived at the scene. Due to how tight the timeframe is, I think it’s entirely possible that Owen was Zodiac based on the timeframe, and the things I previously mentioned above about Owen. 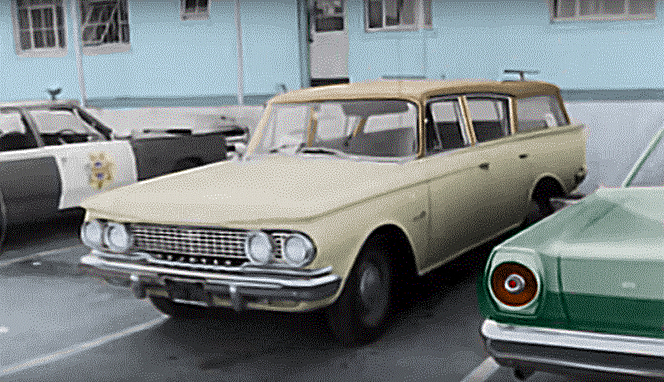 It simply would take the greatest luck for Zodiac to slip in to the scene without being seen just prior to Owen arriving, and slip out just before Borges finding the bodies, and Owen happens to be there at that time. He should have been properly ruled out as a suspect. Thanks to Morf13 at ZodiacKillerSite Forum. Patrolman Russ Butterbach had been responding to the Hells Angels pad on Warren Avenue, Vallejo, when he got the call for a 187 at Lake Herman Road. Click image for info. This is what Pierre Bidou said in the 2007 documentary 'This is the Zodiac Speaking'; "During that night we had served a search warrant at what we call The Cottage at Lake Herman which was owned by the city of Benicia, a narcotics search warrant my partner and I, we confiscated about a pound and a half of marijuana, which in the 1960's was a big drugs bust, today it wouldn't get very high on the Richter scale. We had left and were heading back to the police department to put the marijuana into evidence and as we drove by we didn't see or observe anybody in that area, there's a turn there (the crime scene turnout) and your headlights shine right in there as you go by. As I was pulling into the lot at the police department we heard the Benicia Police Department dispatcher put out a call of a possible shooting and victims on Lake Herman Road and described the location. My partner and I turned around at that time and responded to the call." After these murders and the following attack on Darlene Elizabeth Ferrin and Michael Renault Mageau the killer mailed three letters and ciphers/cryptograms to the Vallejo Times Herald, the San Francisco Chronicle and the San Francisco Examiner to take credit for the murder of the young couple, laying out fine details of the crime only he would be aware of. The three ciphers formed one complete message outlining the psyche of the Zodiac. 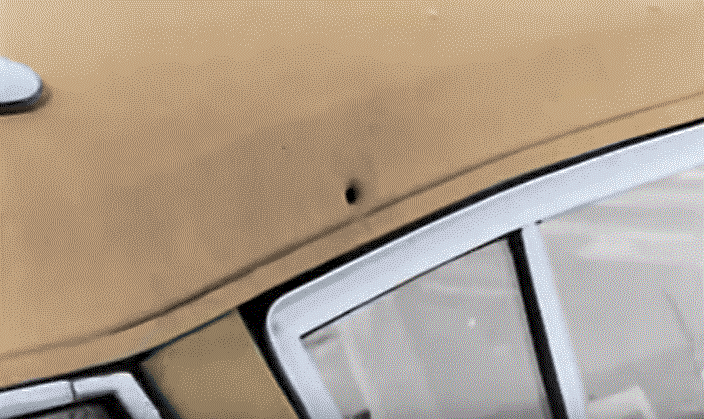 The bullet that struck the Rambler window and entered near the left rear wheel well indicated the shooter was in close proximity when he fired his weapon, probably as little as ten feet away, creating a 17 degree downward angle with the floor. 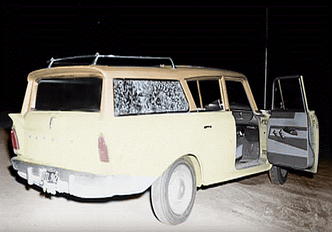 THE ZODIAC KILLER FIRED TWO SHOTS INTO THE RAMBLER. CLICK THE IMAGE ABOVE TO EXPAND.